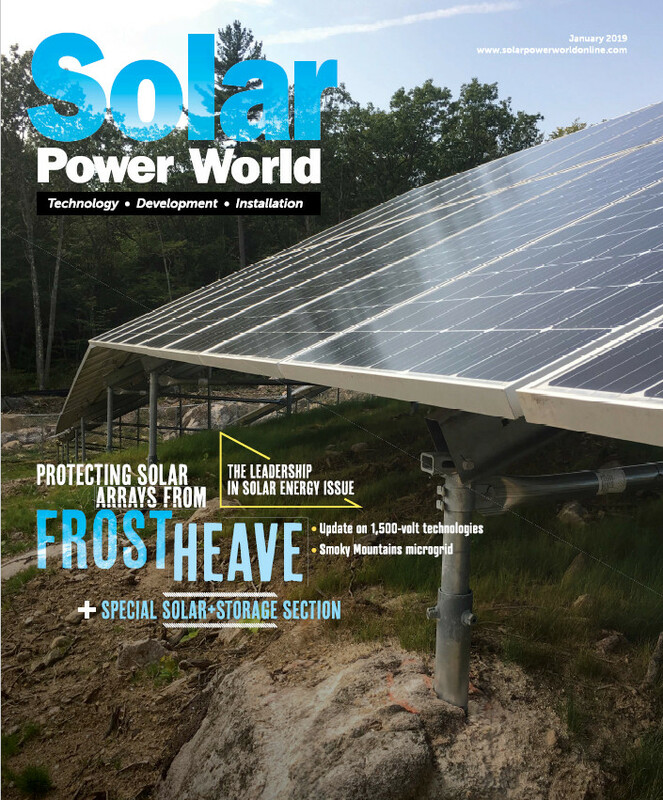 Long View Forest and Encore Renewable Energy announced the commissioning of a 745-kW community solar array on three acres at the new Long View headquarters and wood yard on Ferry Road in Hartland, Vermont. The project is on a 28-acre remediated brownfield property formerly used as a sawmill and lumber treatment facility. Brownfields, because of prior environmental contamination, are deemed prime solar sites under Vermont regulations. The project is expected to produce approximately 9,000 MWh per year, enough to power approximately 125 homes annually. Long View, employee-owned forest management and contracting company, selected Encore as its turnkey partner to develop and construct the project based on Encore’s proven track record of reclaiming undervalued real estate for community-scale solar PV systems. Mascoma Bank provided the debt financing for the project and entered into a long-term agreement to purchase the net metering credits generated by the project. The project first generated electricity in December, and is now generating savings for Mascoma as well as the Montshire Museum of Science located in Norwich, VT. Together, Mascoma and the Montshire Museum of Science will realize approximately $700,000 of savings on their electricity bills over the 25-year term of the agreement. The Renewable Energy Certificates produced by the project will be conveyed to Green Mountain Power to help meet Vermont’s Renewable Energy Standard (RES) to produce 75% of the state’s electric generation with renewables by 2032.